November 2018 – J.G. 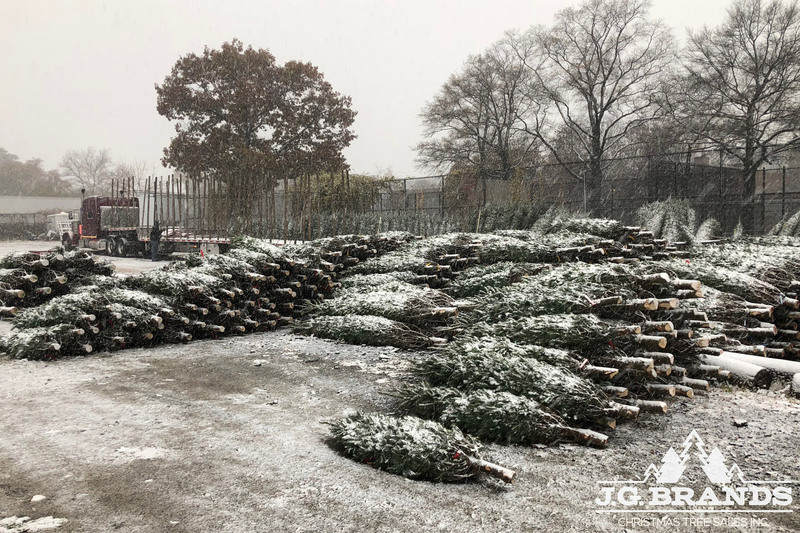 Brands Christmas Tree Sales Inc. The New York City area got it’s first snowstorm of the Christmas season on November 15th! The temperatures dropped and the blast of the white stuff and fridged cold air hit our wholesale yard in full force! Our Balsam and Fraser Fir trees looked even more amazing covered in the snow. Venturing into the storm for a Christmas tree! 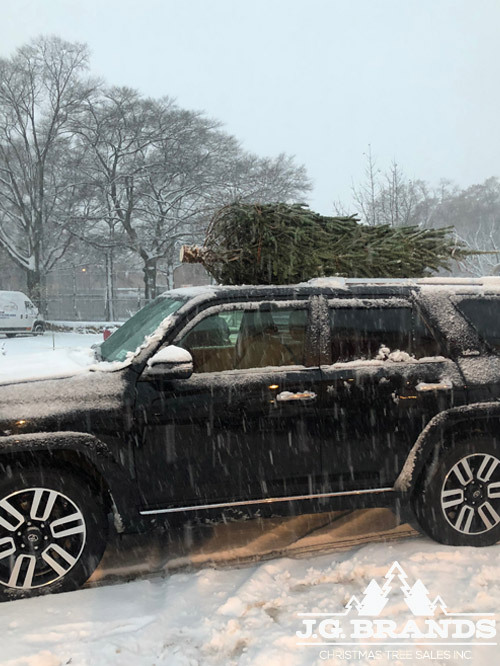 The Echevrria Family braved the storm to be one of the first in NYC to bring home their tree. We appreciate all our customers that came out that day to get a head start on the Christmas season! Our quality Balsam Fir, Fraser Fir and Noble Fir will continue to be available through out November and December. Call us at 718-464-8653 for more information on our trees and availability. 235th Ct. & Hillside Ave. Author jgbrandsPosted on November 18, 2018 November 18, 2018 Leave a comment on Our first snow storm of the season! Our J.G. Brands Fraser Fir that a customer purchased from us last season. 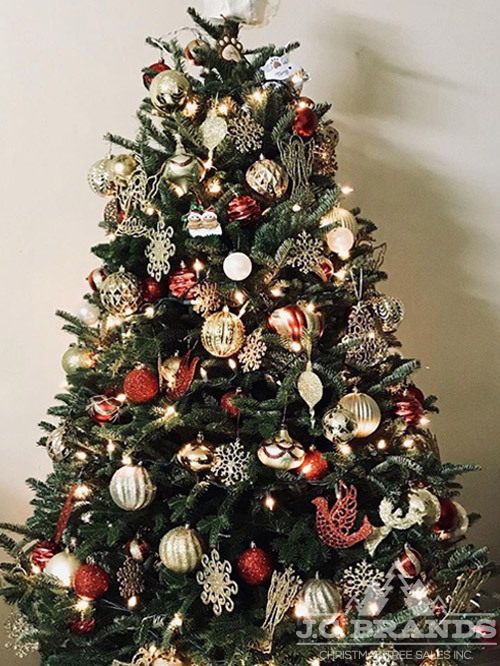 It makes us excited to see the superb decorating and attention to detail that all of our customers put into their Christmas tree!